This Internet phenomenon has suddenly been all over youtube, the news and social media, with knockoff videos being created by a wide variety of people including a squadron of the Norwegian Army, the University of Georgia swim team, the staff of the Jimmy Fallon Show, and a senior community. As of February 15th, there have been about 40,000 Harlem Shake versions added to Youtube with a total view count of 175 million. So what’s the big deal? Why are people calling this the next Gangnam Style, and can it really live up to that type of hype? The video itself is a quite simple formula, making it easy to reproduce. The common thread that runs through all the videos is the setup which starts with a single person often wearing a helmet or a mask, dancing to the song, surrounded by other people not paying them any attention. At one point in the song, when the bass hits, suddenly the people around jump up and start dancing like crazy for about 15 seconds. Often when they jump up they are wearing crazy costumes or waving strange props. The video craze can be credited to 5 teenagers in Queensland, who were bored one day when it was raining outside and they couldn’t go skateboarding. They have been astonished by the popularity of their video, trying to figure out how to make money off the 14 million views they have gained in a few short weeks. We thought about jumping on the bandwagon, and setting up our own Media Sound Harlem Shake video, but then figured we had better stick to the things we are good at, like producing quality voiceovers and audio productions. 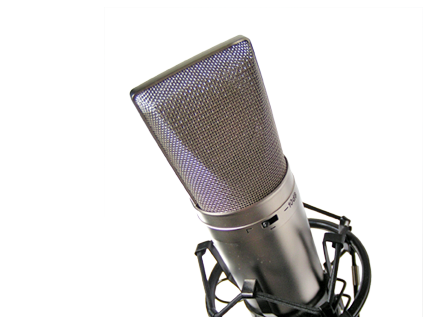 We would be happy to add any voiceovers or help you create your own Harlem Shake video, however, check out our Youtube page for some of our recent voiceovers, radio commercials, tv commercials, and website videos. This entry was posted in Audio Production, Media Sound, Social Media and tagged audio production, harlem shake, media sound, voice overs, voice talent, voiceovers, youtube. Bookmark the permalink.